FORT WORTH — The Grand Canyon Lopes held the No. 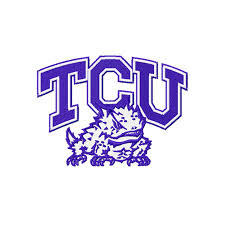 16 TCU Horned Frogs in check and stopped their winning streak at three games in a 4-1 win Friday night at Lupton Stadium. Nick Lodolo struck out 10 batters, recording his fourth career double-digit strikeout game. Lodolo takes a 0-2 record on the season despite allowing two solo home runs on four hits over seven innings of work. Charles King and Cal Coughlin finished out the remaining two innings for TCU. The Horned Frogs got off to an optimistic start when Jake Guenther hit a leadoff homer in the second inning to take a 1-0 lead. However, the Lopes answered with a solo home run of their own in the third inning. Grand Canyon later added another solo home run to take a 2–1 lead in the fifth inning. Grand Canyon produced a pair of runs to open the eighth inning to provide a three-run margin and establish the 4-1 final score. Stranded runners was the undoing of the Horned Frogs as they had all but three inning where they hammed the bases. TCU left seven runners stranded in total. The Horned Frogs fall to 3-2 on the season, but will face Grand Canyon in game two Saturday at 3:00 p.m. with Jared Janczak taking the mound for TCU.